Welcome to PhotoBombUk.com, the UK’s No.1 Photo Booth hire company. If you have ever seen a photo booth and video booth in use, you will know how popular, enjoyable and sometimes even addictive they can be for your guests. If you haven’t seen one before rest assured a photo booth hire for your event will add something really special to the occasion that can be cherished for years to come. 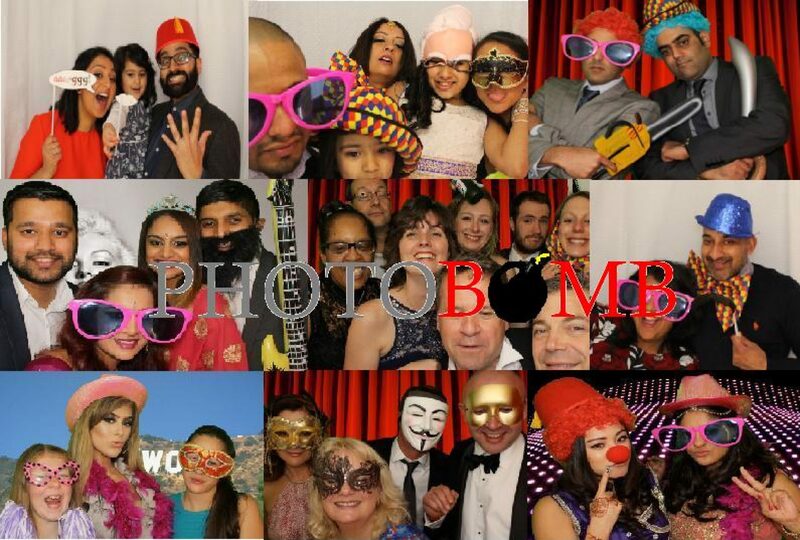 Here at Photobomb UK our aim is to help ensure your event is the most memorable it can possibly be for both you and your guests”Whether you are planning a Wedding, Birthday Party, Prom, Bar/ Bat Mitzvah or a Corporate Event, a Photo Booth hire is guaranteed to be a sure-fire success with your guests. All our photo booths are made of strong lightweight aluminium frames which can be easily transported to and assembled at your venue. They will accommodate up to 8 of your guests at any one time (making for some very amusing photos). Outside of our standard photo booth hire packages each of the booths can be personalised to your own event with different coloured outer walls including logo’s names and other graphics. For a wedding photo booth and other events we can also supply guest books for your guests to share their messages as well as cherished moment. They can also leave video messages. Our software in these booths can have Facial recognition, Magic Photos as well as Marryoke which no other booth can offer.